Labor Day in New York is a national holiday that marks the end of the Summer season. Originally, Labor Day is the day dedicated to the social and economic achievement of workers. What can you do in New York during Labor Day? Labor Day is an annual tribute to the contribution that workers have made to the strength, success and welfare of the United States. Today, Labor Day or Labor Day Weekend, is primarily seen as the end of the summer season. It is also the last chance to go to or organise an outdoor event or a long weekend away. Labor Day in the United States is celebrated annually on the first Monday of September. In 2019, Labor Day falls on Monday, September the 2nd. In many countries in the rest of the world Labor Day is celebrated in May. Labor Day is the same as International Worker’s Day, but in the United States (and also in Australia and Canada) Labor Day is celebrated on a different day than May the 1st.The United States has chosen to celebrate in September instead because it filled the large gap between the two national holidays: Thanksgiving and Independence Day. What to Expect During Labor Day? Because it is a national holiday, all schools, governments and most businesses are closed. 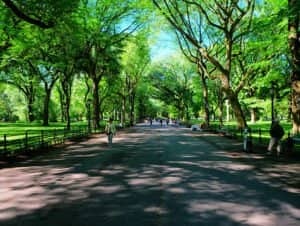 People go out to picnic or barbecue in parks. Also, many people spend the weekend out of town in The Hamptons or Fire Island, to close off the summer season. Also, the American Football season starts around Labor Day, which means that the New York Giants and New York Jets are playing again. Most restaurants and shops will remain open on Labor Day. You might be able to visit a museum on Labor Day, museums that are normally open on the day that Labor Day falls, will be open as usual. 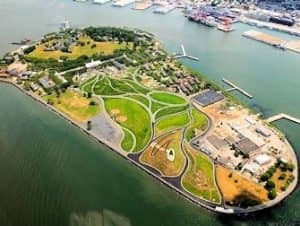 Governors Island is also opened. 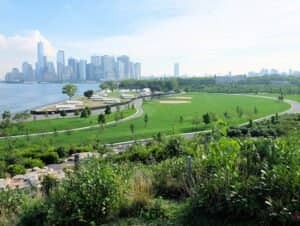 Furthermore, you can go to one of the many parks in New York and enjoy the last rays of the summer sun along with the New Yorkers. If you want to do what the locals do (those who are still in town) then go to Brooklyn to watch the West Indian Parade. You can get the most delicious street food and there is entertaining music and lively dancers. The parade takes place annually on every Labor Day. There is also a Labor Day Parade, it is always held on the second Saturday of September. In 2019, the parade will take place on September 7th. The Labor Day parade originated on the very first Labor Day in 1882 and has continued ever since. The day revolved around festivities for the working class and their families.